Academy’s student publications and yearbook provide hands-on experience for students to connect their time at Academy with their past experiences and their future career aspirations. Not only are the publications an opportunity for students to write, edit, and publish articles on issues of importance to them, but they are platforms for them to help build valuable professional networks with other students, alumni, faculty, journalists, and community leaders. Explore the full lineup of student publications at Albuquerque Academy below. An award-winning newspaper, The Advocate is a student-run publication, published entirely as an extracurricular activity. In the absence of a journalism class, staff training is based on workshops presented by writers from local newspapers, conventions, and summer sessions offered by professional press associations. The editors and more experienced staff mentor newer staff members. Over the years, many editors have pursued college and professional journalism careers. To view the online edition of The Advocate, click here. The newspaper has adopted a pre-Hazelwood free speech policy; there is no prior review, and only the sponsor sees the copy before it goes to press. The editor-in-chief makes all decisions concerning content. The faculty sponsor reserves the right to pull material that violates the school’s concerns for libel, confidentiality, obscenity, and disruption. 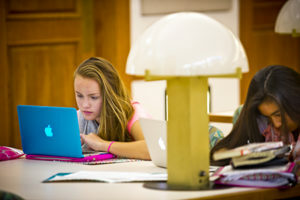 Students work with the Student Press Law Center when appropriate. The Academy’s yearbook is the Charger, an annual publication containing photos of the student body, faculty and staff, and school activities. The Charger staff includes close to 40 students from all grades, overseen by a faculty sponsor. 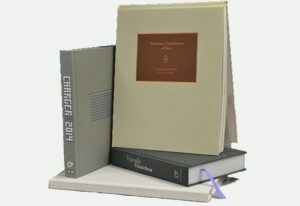 The Academy’s collection of yearbooks, dating back to the first edition in 1961, is located in the library and provides a visual representation of the school’s history. Sponsors: Erin Fitz-Gerald, Ralph Figueroa, and Louis Schalk. 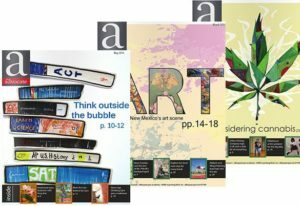 The Albuquerque Academy Journal of Arts, Literature & Culture. 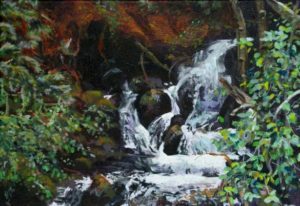 Previously a print publication, Other Voices is now online, enabling a broader presentation of the range of interests and talents of students, faculty, staff, and alumni. Look for new submissions each month — and an option to subscribe to receive monthly updates. Sponsors: Peter Nash and David Gutierrez. The Path is Albuquerque Academy’s school magazine. 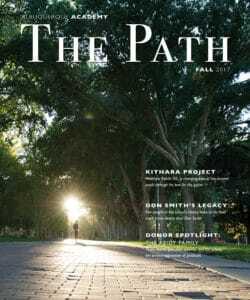 Written and designed by the school’s communication team, The Path highlights students, teachers, and alumni who are doing great things on and off campus.